Paulus Park in Lake Zurich, Illinois. Visit our raffle tables – Free raffle tickets when you register online. We will celebrate 13 years of raising over $275,000 towards our ONE MISSION: END AHC! In the spring of 2005, AHCF President Richie George asked for volunteers to help raise money for AHC research. 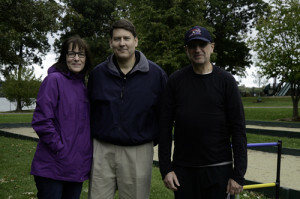 The godparents of Emma Platt responded to a plea for help and organized a walk in their hometown of Downers Grove, Illinois. 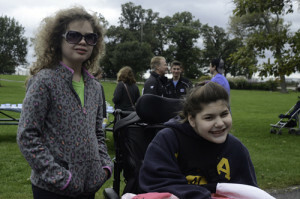 In 2006, Vicky and Andy Platt asked Gene and Kelly Andrasco to join the planning festivities in honor of their daughter Kiley, and the walk was moved to Lake Zurich, Illinois. Since then, the two families have been working together to raise awareness and funds regarding AHC. Over the years, additional AHC families have joined us from Illinois and neighboring states. Those states include Minnesota, Wisconsin, Iowa, Missouri, Kentucky, Indiana, and Michigan. We are also very proud to have doctors and researchers currently working with AHC patients join us. The walk has built an incredible sense of community. With the help of generous sponsors, loving families and supportive friends, we have raised over $275,000 to benefit the AHC Foundation! This September, we are looking forward to an even bigger and better event. So if you were part of last year’s walk, come back and have even more fun! 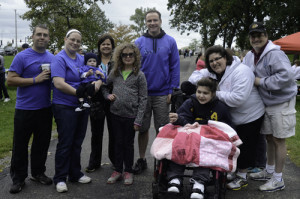 If you missed last year’s AHCF Chicago Walk, we welcome you to join us this year and help make our One Mission to End AHC come true!